In the R2 2018 release of Telerik Reporting and Telerik Report Server, we will be adding a web service data source component, which will allow pulling the data for the report content from a web service. The next release of Telerik Reporting and Telerik Report Server is just around the corner, and I wanted to give you a sneak peek into one of the new features that we will be adding to our reporting suites – the web service data source component. Currently, our customers are using custom data retrieval to utilize web services data. At the same time, web services are turning out to be the de facto standard for data access. With R2 2018, we've provided a built-in declarative way to utilize such data sources. 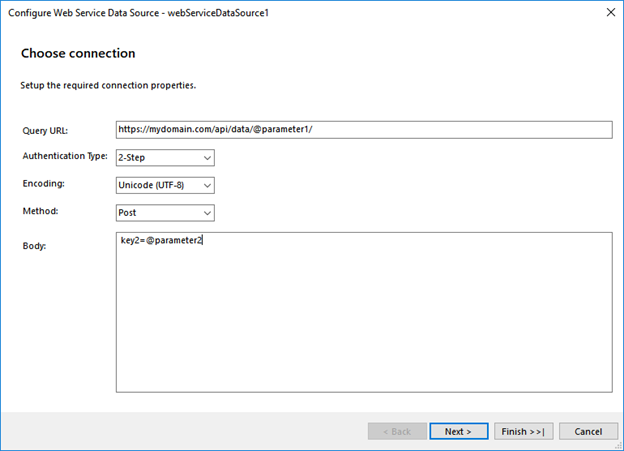 The Web Service Data Source component will make it much easier to access them, while standalone report designer utilization will need no development work to use web service data. It will be as easy as specifying a single connection string. In addition to enhanced data connectivity, with R2 2018 we will release other features that will improve end-user experience and integration of Telerik Reporting and Telerik Report Server. The list of features includes digital signing of PDF documents, report document search, report server webhooks and more. We are constantly trying to improve and strengthen the features in Telerik Reporting and Telerik Report Server based on your valuable feedback. Now is the time to thank you for your constructive feedback and support in the process – we couldn’t have done it without you! So, please continue to leave us comments and be our best advisors. Of course, this is far from everything that we will be shipping on May 16th with the Telerik R2 2018 Release. Keep an eye out for the release and make sure to download the latest version soon from your account, or by downloading a free trial of Reporting or a trial of Report Server. In the meantime, make sure to sign-up for the Telerik R2 2018 Release webinar, where our developer experts and members of the product team will go over all the new goodies coming with the release across all product lines. Galia is a Product Marketing Manager for Telerik Reporting, Telerik Report Server and Telerik Test Studio at Progress. She has 18+ years in marketing, improving the sales, performance and reputation of a great number of international companies. Outside of work, she enjoys reading, psychology, mountain climbing and music.